The Pixies have always appeared to be an odd band to me, which admittedly was part of the appeal: The pop sensibility, lack of political ideology, counterintuitive songwriting structure, stoic rhythms, quirky hooks and Black Francis’ rollercoaster vocal exercises paired with a faible for surrealism was what formed the basis of the zany character, unpredictability, charm and unorthodox personality of the band. A band that has created a lane for a myriad of epigones. With the lion’s share of the predominantly older audience tonight, the Pixies’ oeuvre would be tied to memories growing up and reliving their youth – and they reveled in it – whereas younger attendants would have probably only heard of them because of the haunting lament “Where is my mind”, which concluded the movie Fight Club and came out more than five years after the Pixies had officially called it quits the first time around. No matter which camp you count yourself to, the 2017 incarnation proved that the Pixies remain a unique band that presented itself in fine form. Devoid of histrionics, laconic, understated and taciturn in presentation, bathed in shadows and smoke they did not waste time with banter and instead focused on their craft, i.e. steamrolling, serenading and seducing the nearly sold out venue. 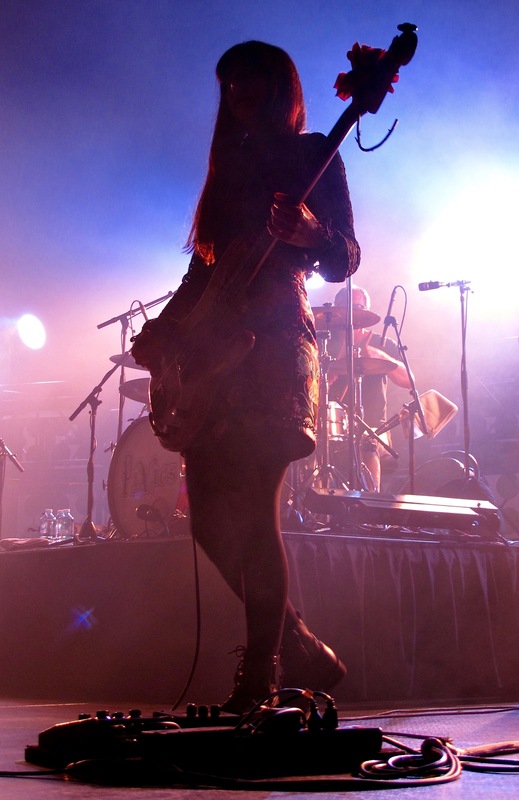 Paz Lenchantin has taken the place of the former and founder member Kim Deal and has established herself as a well-calibrated, soft-voiced counterpart to both Francis’ barks, howls and screams and Joey Santiago’s schrecklich schöne dissonant riffage. It can be argued if their newer, more recent emissions hold up compared to their classic, vintage tunes but it does not hold the band from presenting them early on in their set. It can also be argued that a more polished and mature incarnation of a band whose laurels rest on manic energy goes at the expense of diluting the DNA fans love them for, however, the set had moments where older and rawer qualities shone through, which made for a solid and powerful performance.